Light the flame of revolution with 4DX! With the Games now destroyed and in pieces, Katniss Everdeen (Jennifer Lawrence), along with Gale, Finnick and Beetee, now end up in the so thought "destroyed" District 13. 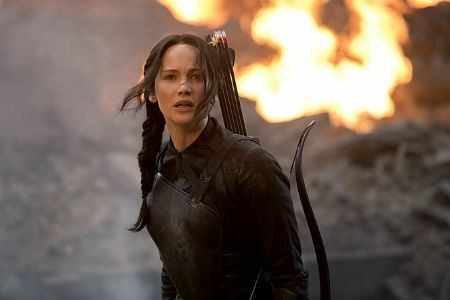 Under the leadership of Commander Coin and the advice of her friends, Katniss becomes the "Mockingjay" and the symbol of rebellion for the people. 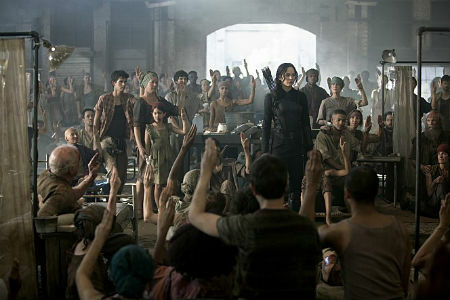 Katniss Everdeen, our heroin, is now among the people of the lone outright rebellious District 13, and becomes the only hope to save the world. It's time to ignite the flame of revolution led by ‘Mockingjay’, and here’s why seeing this film in 4DX is a must! 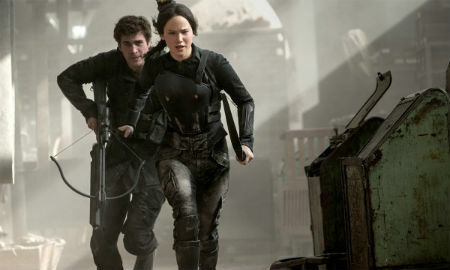 When Katniss discovers her devastated homeland, the audience will get a realistic feeling of the dystopian world by musky scents, fog, and fan effects that fill the whole auditorium. Continuous motions and diverse textures of vibrations from 4DX motion chairs are carefully designed to allow the audience to follow the subtle environmental transitions in the beginning part of the movie. With delicate movement and speed control perfectly synchronized with each scene following the emotional flow, audiences can’t escape from getting more and more absorbed into the desolate atmosphere. The bombing attack on the District is one of the highlight scenes of the movie. In 4DX auditoriums, all the multisensory environmental effects including winds, strobes, fog, scents, and air shots together with strong vibrations will deliver the most immersive feeling into the disastrous field. It will be a very exciting ride experience when air ships are flying, riding, swinging and jumping. Also the motion chairs will make you feel that you are actually running just next to our heroes, the genuine tension and thrills that can't never be felt in any other formats. If your choice is 4DX, you can't miss the overwhelming scale of hydroelectric dam scenes: rain and fan effects maximize a feeling of rushing water, and intense motion with vibrations delivers the biggest impact of explosions. All these effects will bring the audience into the scene so effectively that they will feel like being at the center of this extraordinary huge explosion. One small tip. You should not miss the land mines scene where the residents hide themselves in the bunker; delicate but strong vibrations surrounding the whole your body will give you a sense of the most intense tension and thrills.